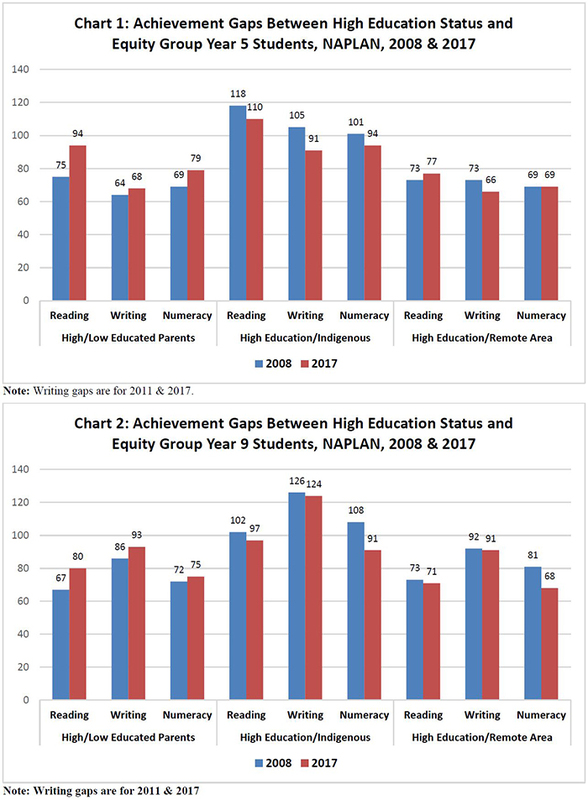 NAPLAN data released today adds to the growing body of evidence showing ongoing inequity is denying students from disadvantaged backgrounds the means to reach their full potential. AEU Federal President Correna Haythorpe said the results showed that Australia’s overall performance on the NAPLAN test had plateaued while critical gaps in student achievement remained. “These results highlight the deep inequity in our school funding system. Students from low socio-economic backgrounds, Indigenous students and students in rural and remote communities bear the brunt of funding inequities,” said Ms Haythorpe. An analysis of the latest results by the AEU and the education group Save Our Schools reveals astonishing inequities for our students. “When we look at Year 5 children, we see achievement gaps of two years or more in reading, writing and numeracy between students whose parents are highly educated and students whose parents have a limited education. “Those gaps widen as a student progresses through their schooling. There is a four and a half year achievement gap between students whose parents are highly educated compared to students whose parents have a limited education for Year 9 students. “Year 9 Indigenous students face achievement gaps of up to six years in reading, writing and numeracy between when compared with students whose parents are highly educated. “If we want to close the achievement gaps for our students then we need to target funding to ensure that all schools reach 100% of the minimum Schooling Resource Standard,” said Ms Haythorpe. “These results show how important needs based funding is for our schools. Despite this, the Turnbull Government has chosen to scrap original Gonski agreements with states and deny our schools $3 billion in extra resources over the next 2 years alone. “Under the Turnbull Government’s new funding model, the number of overfunded private schools will double next year while public schools miss out. The Turnbull funding plan entrenches inequality which can only mean we will see widening gaps in student achievement. “Australia’s NAPLAN results reflect what international evidence already tells us, that equity in funding and improved academic performance go hand-in-hand. Yet the Turnbull Government continues to ignore this at great cost to our schools and our students,” Ms Haythorpe said.